This past year and a half was insanely busy for us. We remodeled the kitchen of the house we were living in, sold that house within 24 hours of putting it up for sale, and then we moved for 8 months while we built our own house. My husband is a general contractor which means we (he) really did build most of it ourselves. This meant a lot of extra hours after work and a lot of late nights for us. There was also a lot of driving back and forth from the rental to the house we were building. And a lot of changes. As a highly sensitive introvert and also the parent of one, I've come to understand the importance of familiarity and routine. 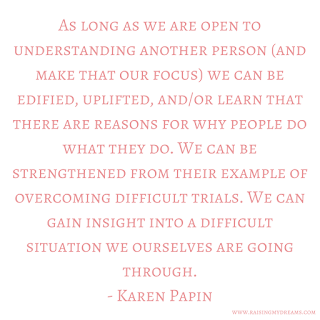 I really like to understand my circumstances and I enjoy familiarity. 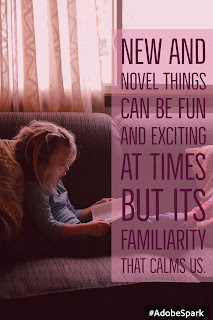 New and novel things can be fun and exciting at times but its familiarity that calms us. Unfortunately in the last 18 months there has been a lot of unfamiliarity but we made it through both the not so pleasant unfamiliarities but also the pleasant familiarities. 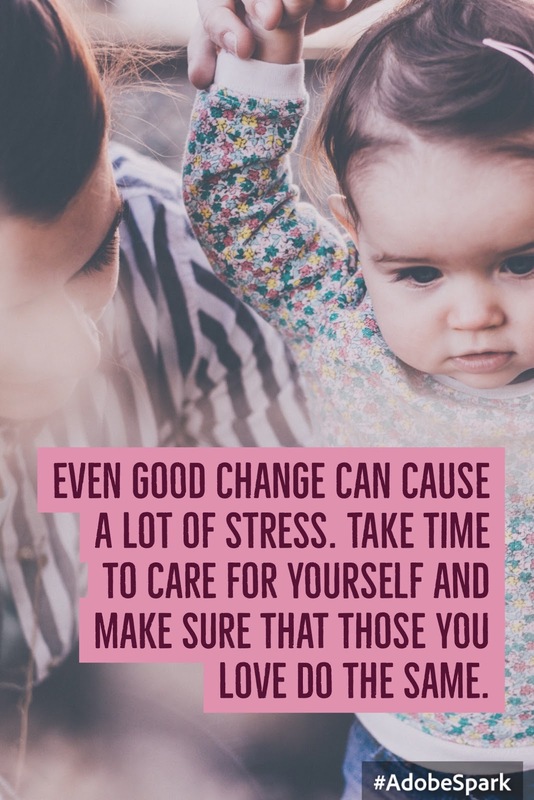 Even good change can cause a lot of stress. Which is why it is important to take time to care for yourself and make sure that those you love do the same. I am amazed as to how well Lil Bug took to all the changes that we’ve had because one of the strengths of highly sensitive people is that they can feel the emotions of others. They cue into them more easily. But there is also a difficulty with this strength. 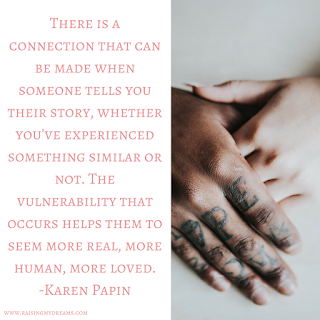 We both picked up on all the emotions that were going on and at times it took some adjustments to help cope with the overwhelm of emotions. And its why we did our best at creating familiar surroundings and keeping as best as we could to familiar routines. 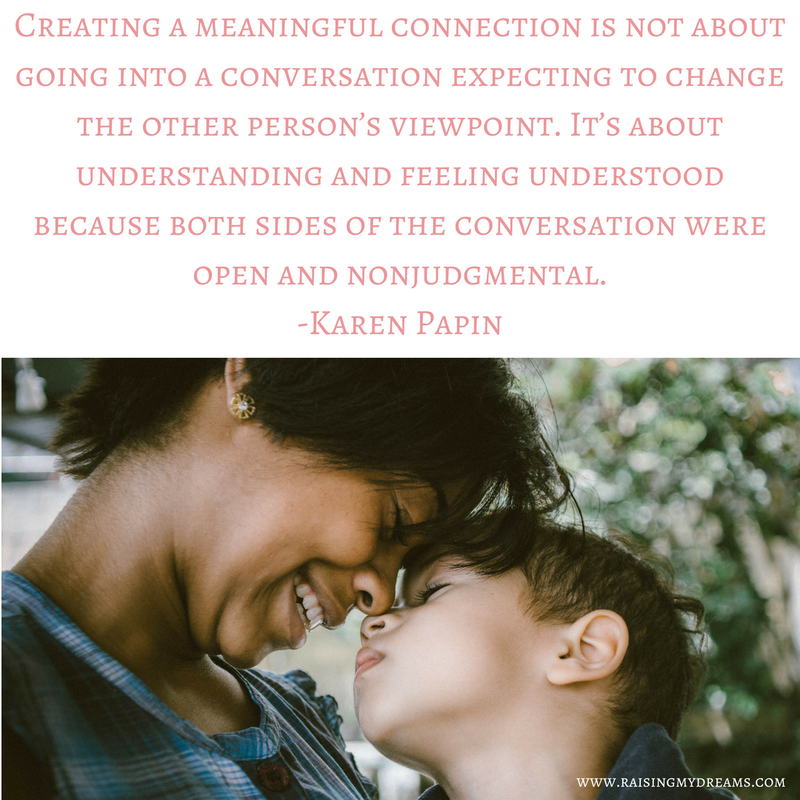 Unfamiliarity and change can bring uncertainty and I wanted to help my daughters with some of the feelings that they might have been experiencing. 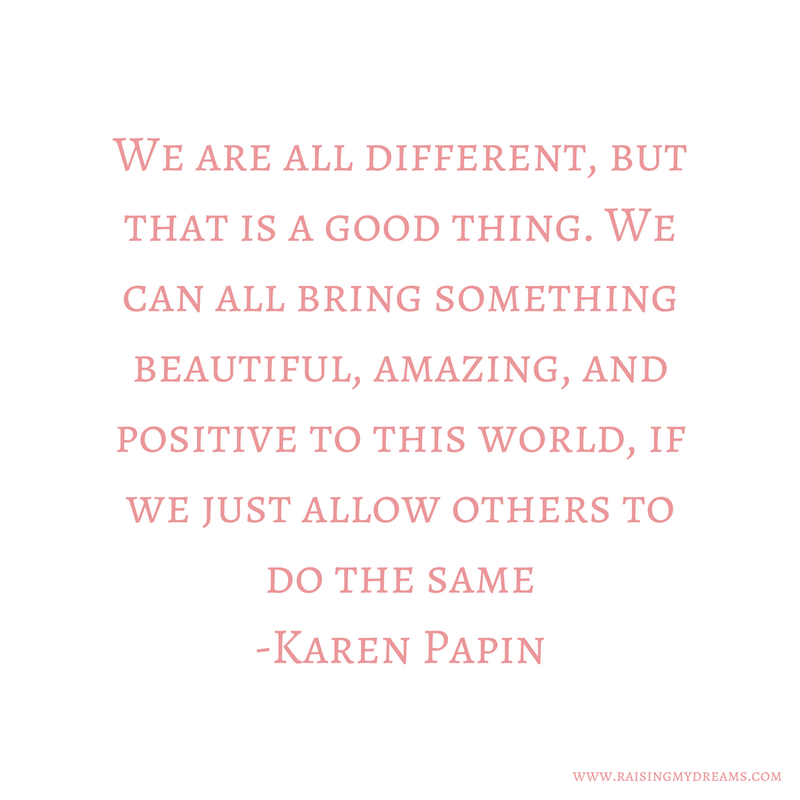 We definitely had our shares of bumps along this road we traveled but there were a few things that we did which helped us prepare our daughters for the move. Lil Bug was almost 3 when we made the first move and Lil Sunshine was almost 1. When we made the move we made sure that the rooms we were moving into had some sense of familiarity even though they were still different. This was a little bit hard because we were moving into a much smaller rental and their rooms would also be storing things that were not originally in their rooms. But, we made sure that they had the familiarity of their beds, dressers, and toys. We also tried to bring in the same amount of light (or lack of it) that they had had in the other house. The last night, we left most of her things in her room so that she didn't feel like she was missing anything she cherished. We had to pack some more the next day, but it helped her to know that her things would stay with her. We then stuck to morning and bedtime routines to help with the transition as well. We were blessed in that we were moving within the same city. It was easy to go and show our children where we were moving. They saw it before we moved in and could better understand where they were going. We were also blessed with my husband being the general contractor of our new home. We were there "helping" often and the girls knew which room would be there’s from the moment the foundation was poured. There were times that Lil Bug would just play in her “room” while Daddy and Papa worked on the rough plumbing, before the walls were even up. When we put the doors on, Lil Bug was already keeping her little sister from coming into her room. She already associated it as her room. By the time we moved in she was comfortable in the house. For Lil Sunshine, it wasn’t until we put carpet in that she was really comfortable with her new room. As soon as she saw the carpet, she flopped down on it and began rolling around. 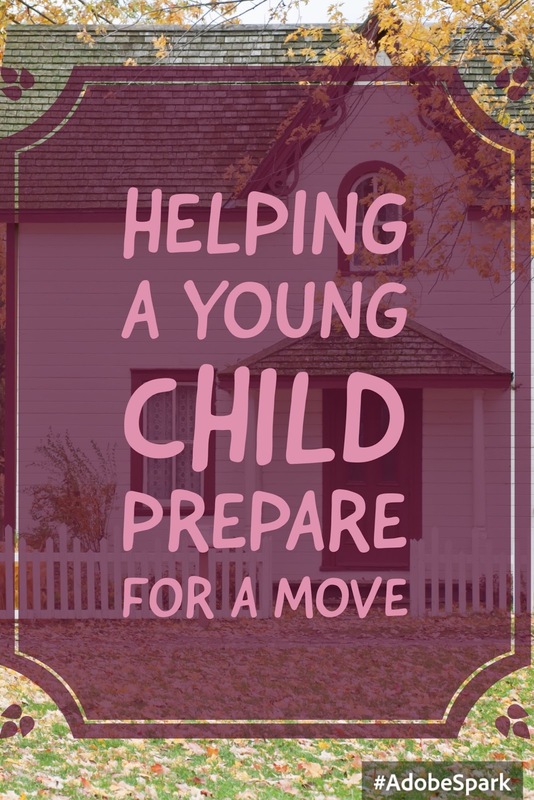 While your child may not have the opportunity to see each stage of their house being built, try at least once to bring the child into the home ahead of time. That way they can visualize where they are moving to when you discuss it with them. I’m a big fan of knowing what is to come. I like to be prepared. Yet, I am aware that no matter how much I prepare I still don’t know what may or may not go wrong. Even with that knowledge, I still do what I can to prepare myself and my children. I strive to help them understand what is to come. It was no different with moving. We involved them in the different steps that we took in building a new house and in moving. We explained that the rental home would be temporary and we would move into the "new, new" house. On the day of the move, we talked to Lil Bug about how we would be moving that morning. The time had finally arrived and I could tell she was anxious about it. She had gotten used to living in the rental for the past 8 months. Even though we had let her know we would be moving and even though she could see the progress of the house, she still didn’t have a solid concept of time. When the move became “today," she was apprehensive about it. I took the time to explain to her that even though we would be moving, Mommy and Daddy would still be with her. Lil Sunshine would still be with her. Her bed, her dresser, and all her toys would still be with her. We just wouldn’t be sleeping and living in the same place. This calmed her and she then became excited that she would see Grandma, Nana, Papa and Auntie that day. I had several volunteers for watching the girls during the move, but what I really wanted was for the girls to see what was happening. I wanted them to be part of the experience and see their things moved from one place to another. I wanted them to have a visual learning experience. So, those volunteers did great at keeping the girls out of the way of the movers but also they did great at helping them to understand what was going on and how to enjoy the process. The girls had a great day and they both were beyond excited to see their things in their new rooms. When Grandma came over, they excitedly gave her a tour of the new house. All in all the girls did great in transitioning with the move. There have been a few adjustments and struggles. For one, Lil Bug, had gotten used to us being in close proximity at night. It’s been 3 weeks and she has finally started sleeping in her own bed again. But, they love it here and they look forward to being at home again after running errands. 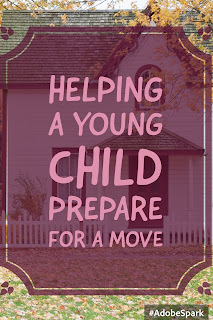 Do you have any more tips for helping kids experience and adjust to moving? I would love to hear them in the comments. My family went through a lot when I was 15. My younger brother passed away and there was a lot of extra stress on top of that. I remember one time during that year when my mom pulled me out of school. She took me hiking in the nearby national park. It was a wonderful day as my mom and I spent time submersed in nature, enjoying our time with each other. We developed a greater connection with each other. It was also a wonderful break from all the stresses that we were facing in our lives. My mom called it a mental health day. I have never forgotten that day nor have I forgotten the benefits that my mom and I gained from having our mental health day. 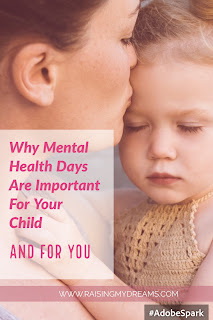 I want to share with you some of these benefits and why taking a mental health day can be beneficial to both you and your child. As an introvert, life can be draining. We are constantly stimulated by everything in life. We need time to recharge because when we do so, we can perform to the best of our abilities. 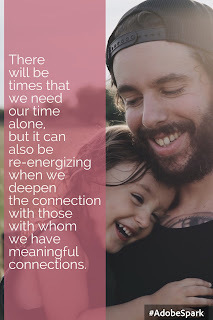 When I first became a mom of two little girls, I became overstimulated and I did not take enough time to recharge. This led to burnout and depression. 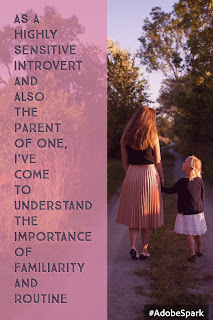 You can read more about this experience and how knowing more about introversion helped me to overcome it in my post Heartache and My Struggle to Reconnect. 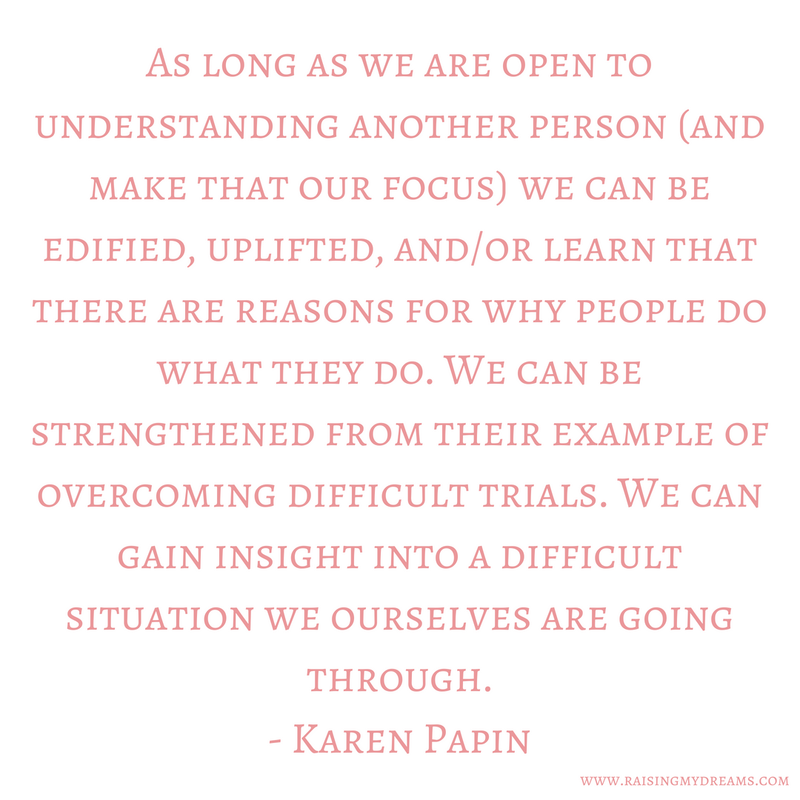 One of my favorite podcasts is Happier with Gretchen Rubin. On a particular podcast, she talked about how when her in-laws go on vacation they always save a day at the end of the vacation to be at home. I thought it was a great idea. 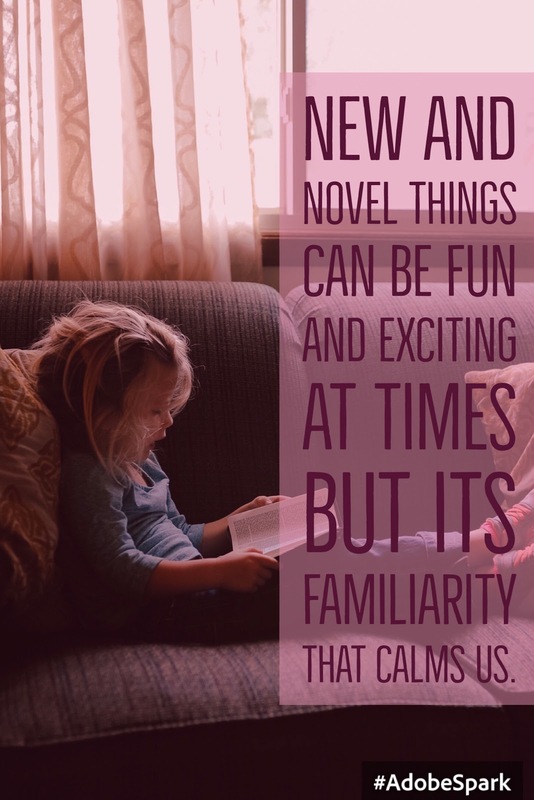 Vacations can often be filled with fun and exciting (aka stimulating) things, which we enjoy, but wear us out. Even if your vacation is more about relaxing on the beach and not as stimulating then taking a day at home before getting back to work/school will make it easier to go to back the next day. Also my daughters take a few days to readjust after being away from home. I usually try to have a day of familiarity after we get home so that they can settle back into home life. When your child becomes overstimulated, they may become cranky and irritable. 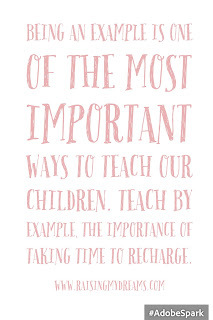 Your child also needs time to recharge. Recently my Lil Bug had preschool and then that same day we had some extended family events. She was overstimulated and exhausted by the end of the day. Even though she had fun being with family, it was exhausting for her and she was easily upset and struggled with sleep when we got home. She slept in the following day. Even though she had preschool, I decided not to wake her up. Instead, I let her teacher know that she needed a break and would not be there. All the events from the day before were too much for her and she needed some time to recharge. To unwind. She needed a mental health day. She had enjoyed her time the day before but she was overstimulated and overwhelmed by everything that had happened. She needed time to recharge before continuing in the world. When she did wake up, I could tell I had made the right decision. She needed the solitude of home and the calmness of the activities that we do at home. Usually school is one of our priorities for pushing Lil Bug out of her comfort zone, but in this case it was too much for her. She needed the break. I’m not saying to always take your child out of school, but just consider your child and what is best for you both. Maybe you can wait until Saturday to do something different. 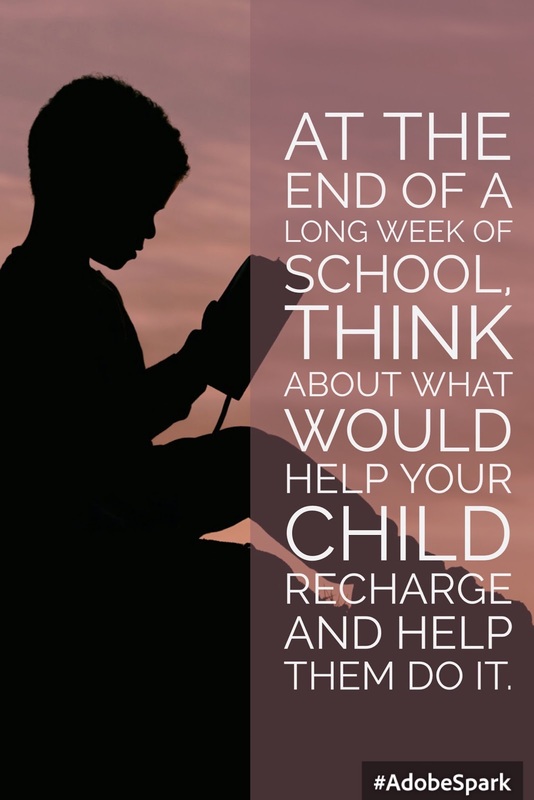 At the end of a long week of school, think about what would help your child recharge and help them do it. If you’re finding that you are using the mental health day idea too often, then reevaluate the underlying causes of your child’s distress. Something needs to change, it’s not a matter of just relaxing. In any case, take time to assess your child’s needs and decide what is best for them. work through them more easily. 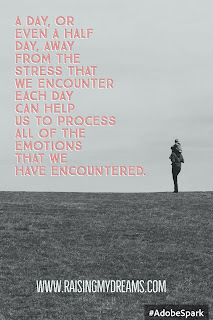 consequently the stress you feel. and all the other relationships that you have in your life. needed to think about but had not had sufficient time to do so. This particular benefit comes from doing a mental health day with someone else, in this case my mom. She was someone I knew and loved. She was familiar to me. It was not stressful or anxiety creating being with her. We also did something that I loved to do, hiking, being in the outdoors, away from crowds. It was a calm, healthy environment for me. That healthy environment and the calm activity of hiking, deepened my connection with my mom. As a parent, I am constantly wanting to create meaningful moments with my daughters. Moments where I am completely focused on my kids. Moments where I feel an even greater love and joy just being with them. Moments that help both my children and myself thrive. Seek those meaningful moments each day, then when you have a mental health day with your child, deepen those moments. 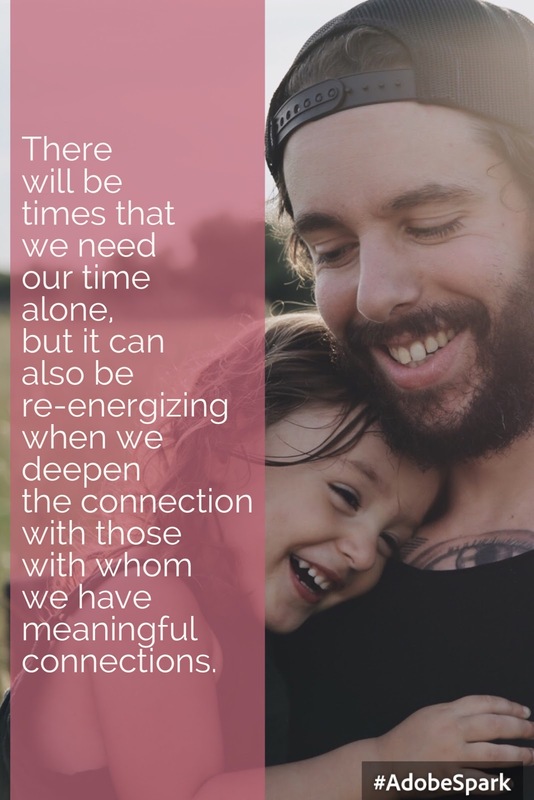 There will be times that we need our time alone, but it can also be re-energizing when we deepen the connection with those with whom we have meaningful connections. child as she created time for me. She also showed me through her example the importance of taking time for ourselves, not necessarily when we want it, but when we need it. physical harm, but how often do we teach them to take a break when they really need it? 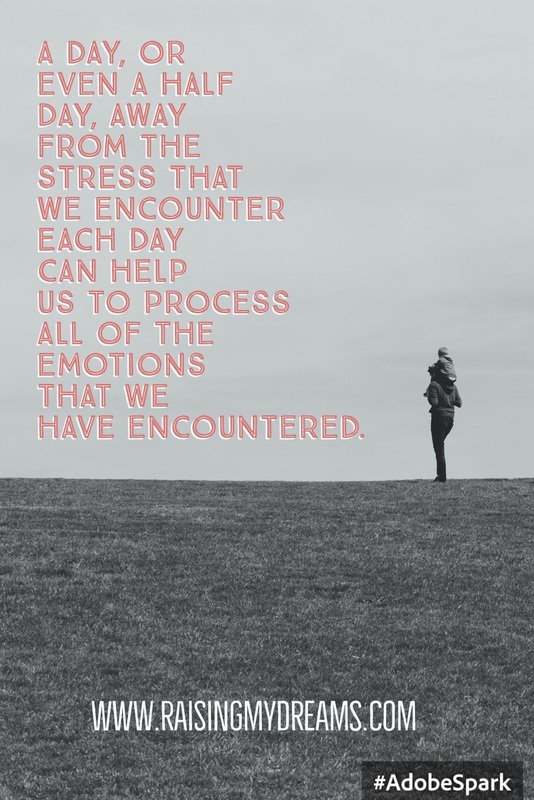 How often do we teach them to process their feelings and process what they’re going through? How often do we teach them to be flexible enough to take care of themselves? And how often do we show them these things through our example? 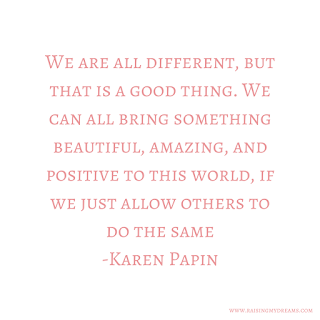 Being an example is one of the most important ways to teach our children. 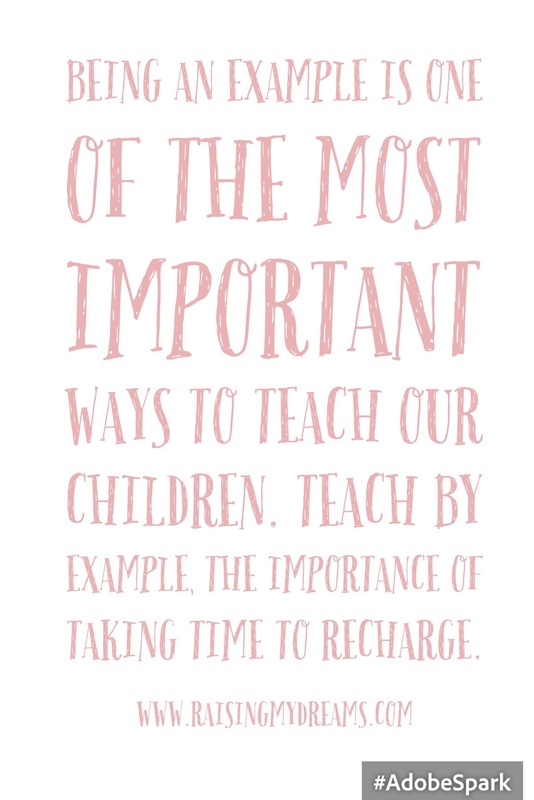 Teach by example, the importance of taking time to recharge. As an introvert parent it might be a bit harder to find time to take a full mental health day. Sometimes just an hour or two is enough. If you find you really need a full day, ask for help from friends and family. But, whether you can make it a whole day or not, try to take some time each evening to help yourself recharge. Read some ideas for recharging at the end of the day here. There is also The Wallflower Box which is a subscription box that is specifically geared towards helping introverts to recharge. I am not an affiliate with them but I love what they are doing so I wanted to share it with you. I have found that as I’ve made time to recharge that I have become a more patient and loving parent. 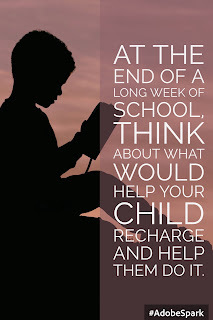 When my children have taken that time to unwind and recharge, they are happier. This is the last benefit that I’ll mention, the feelings of peace and understanding that come from recharging. Let’s take some time to make sure we set a good example for our kids and teach them the importance of processing emotions and stimuli.